There are positives and negatives associated with every form of employment. While employees benefit from unrivaled workplace security, they lack the freedom to control their working day. On the other hand, many contractors love being their own boss and choosing which jobs they take on, but in return, they can open themselves up to a number of financial risks. As well as losing a degree of financial security, working as a contractor can make it more difficult to find a competitive mortgage. It also exposes contractors who provide professional advice and services to potential claims made by clients for mistakes they make during the course of their work. 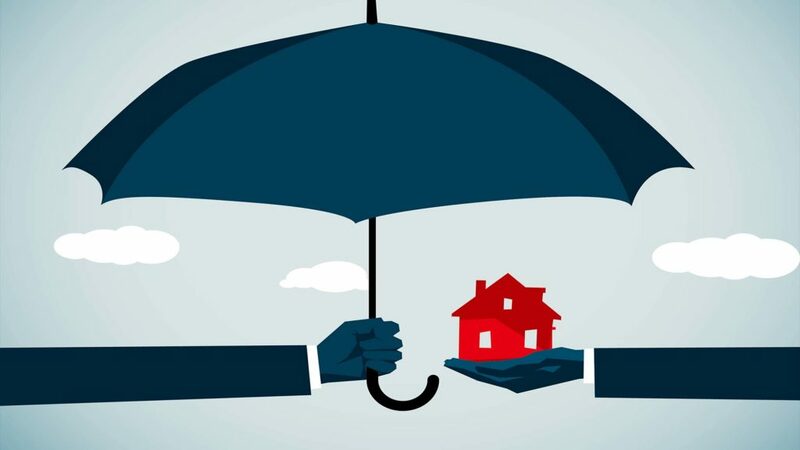 In this guide, we’re going to explore the issues contractors commonly experience with finding competitive mortgages and insurance cover, and discuss what can be done to keep these financial concerns at bay. Mortgages can sometimes be a real headache for contractors in the UK. Although the situation is slowly improving, lenders still have differing views about what a contractor actually is and have their own ways of assessing affordability, both of which can be a source of frustration for contractors. Every lender will have their own policy that determines what they look for when agreeing a contractor mortgage. This will be based on factors like the length of the current contract, how long you’ve worked in the industry along with your skillset and whether the contract is likely to be renewed. There are also issues that arise when it comes to assessing the earnings of contractors. It is not uncommon for contractors to draw a modest salary and dividend payment, leaving a significant level of retained profit in their business which would make a loan affordable. You’re recently self-employed – If you’re recently self-employed then it can be difficult to secure a contractor mortgage as you will not have the 12 months’ earnings history that many lenders want to see. Some lenders will be willing to rely on day rate calculations and take the specific details of your current contracts into account, but these specialists are relatively few and far between. You’re on a short-term contract – Short-term contractors can struggle to secure a mortgage on the high street as applicants usually need to have a minimum of six months remaining on their current contracts. However, if you have been contracting for a number of years and have had a contract renewed at least once then you stand a better chance of being approved. You operate through an umbrella company – Contractors who operate through umbrella companies tend to be viewed differently from one lender to the next. Some lenders struggle to define who you work for and how sustainable your income is, so may decline your mortgage application. However, if you have been doing this type of work for at least 12 months then there will be specialist lenders out there that will consider your application. Melvin Parker, Associate Director at CMME, says: “The days of contractors struggling to find a mortgage is quickly changing. Thanks to relationships we have built up over the years there are now specialist lenders who understand the particular challenges contractors face and can assess the income of contractors accurately. This is often based simply on their day rate in circumstances when a contractor is not in a position to provide copies of their trading accounts; thereby opening up more of the competitive mortgage market for many UK contractors”. Another potential financial risk contractors face are claims made by clients for mistakes they make during the course of their work. No matter how much experience or skill you have, there is always the potential for a mistake to be made that leads to a financial loss for the client. In that case, the client may choose to pursue a claim against you for negligence. Although it’s not a legal requirement, the need for contractors to hold professional indemnity insurance, which provides cover against the cost of client claims, is often stipulated in contracts. Despite this, many contractors do not recognise the risks and assume such a claim is an extremely unlikely event. Without an accurate appreciation of the level of their exposure, cost becomes the main differentiator for many contractors. As a result, they choose the policy with the lowest premium rather than finding the best price for a sufficient level of cover. But what level of professional indemnity insurance do you need? Check with your client – If you’re taking on a contract with a client, always check if they have minimum cover requirements. If they have, you should select that level of cover (or higher) when buying your policy. Check with your industry body – Industry bodies often require that their members hold a certain level of indemnity cover. These minimum cover requirements will usually be contained in your membership agreement. As a very rough guide, a new contractor with a relatively low level of income may only need cover with a £50,000 indemnity limit, while a more established contractor working with several clients on large contracts may need £1 million or more. Here at LynxPro, we’ve recently partnered with CMME, one of the UK’s leading providers of contractor mortgages in the UK. Use their mortgage calculator to find out how much you could borrow based on your daily rate. We’ve also partnered with Caunce O’Hara and Kingsbridge, contractor insurance specialists that provide tailored cover for every risk you face.